It’s that time of year again when we all remember why we’re thankful for everything life has to offer. We get to celebrate the holidays we love most and break out all of our favorite traditions. 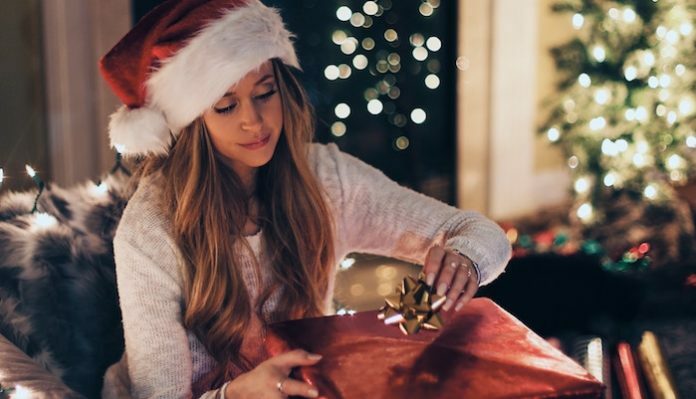 So, what does the holiday season mean to me as a Latina woman? In my family, holidays have always involved sipping Coquito and singing my favorite Spanish Christmas carols with my family. For me, holidays are about tradition and spending quality time with loved ones. Although getting a visit from Santa Claus is great, it’s not what Christmas is about. Christmas is about spending time with your friends and family and being grateful that you get to live another year. It’s the best time of year, especially to create new memories with your loved ones. I wish people would start to realize that Christmas is about more than just the gifts. Now, with all the holiday sales and the pressure to find the best gifts, it seems as Christmas has become all about the presents. We compete to buy the most expensive gifts, which takes away from the true meaning of the holidays – being thankful for your loved ones. Spending time with your family should be the greatest gift you could ever receive for Christmas, and for me, that’s always been my favorite part of the holiday season. As a child, I did occasionally receive fancy gifts, but the price tag never mattered to me. All I cared about was making memories with my family. For instance, one Christmas, when I was about seven, my family got stuck in a snowstorm the day we were supposed to travel home. My grandpa brought some snow inside because we weren’t allowed to go outside, and my entire family had a massive snowball fight, then watched Miracle on 34th Street. I can’t even remember which gifts I received that Christmas, but I will always cherish the fun memories I had with my family. And that’s all that matters this holiday season: family. Family is the one thing that makes the holidays so special. The holidays are a time for us to reconnect with the family members we rarely see and give thanks for the loved ones we have the privilege of seeing every day. They’re about getting together, loving each other, and making memories that will last a lifetime. Throughout my life, I hope to continue my family’s holiday traditions and make my own. This season, I’m excited to watch my favorite Christmas movies, sneak popcorn while we decorate the tree, and of course, sip Coquito and sing Spanish carols with my family. After all, those are our holiday traditions, and this year, they’re all that matters.